Classic - Historic - Water view - Downtown Beaufort! Circa 1891 William E. Wheatley cottage with water views of Gallants Channel! Just 2.5 blocks from the Front Street waterfront, boardwalk and Taylor's Creek. Walk to restaurants and everything downtown. Wonderful coastal setting with a scenic marina across the way and views of the emerging waterfront town park in the former drawbridge location! 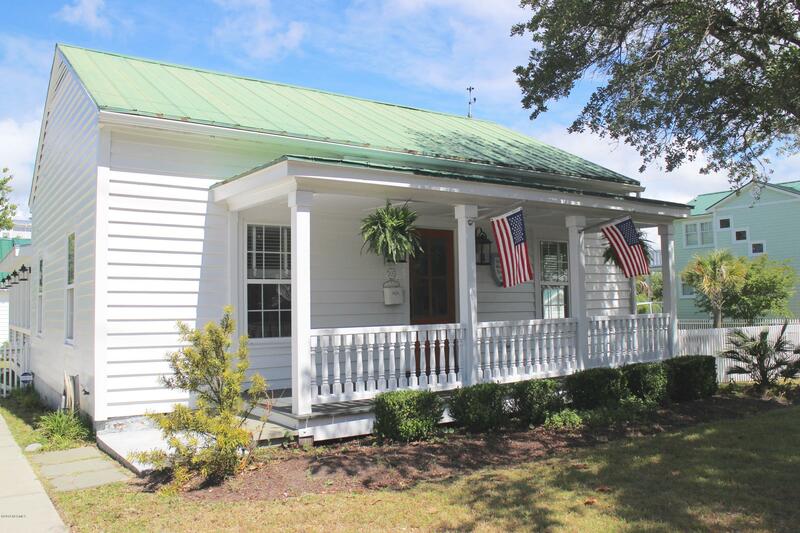 The cottage is loaded with charm, curb appeal and obvious attention to detail! Features include wood floors, recently painted interior, new walk in tile shower, gas fireplace and new gas range, plus a sun porch (21 x 11) with split system heat pump for heat and air. A spacious wrap around deck is perfect for enjoying the sunsets and water views. Another treat - the adorable detached studio/workshop (18 x 12) with split system heat pump - recently used as a home office! Detached storage shed (8 x 10) too. A very special property!